Feel the salty ocean breeze, watch dolphins porpoising past in lightning fast leaps, see a vast array of seabirds and even encounter the occasional whale splashing its tail and exhaling spumes of water. We depart from Three Anchor Bay on a 3 – 5 km journey towards Granger Bay or alternatively Clifton Beach – known for its fine white sand and azure waters. The views looking back at the coastline and mountains are magnificent! Trips are approximately 2 hours long. 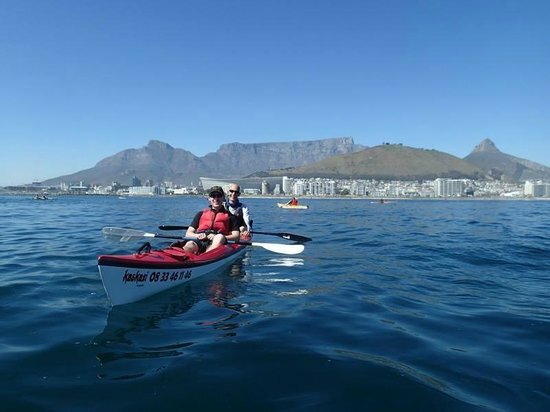 If you have previous paddling experience we can arrange half day kayaking trips. All trips are weather dependent.